Cosmetic procedures range from color correction exclusively designed to improve appearance, to teeth replacement and restoration, with the added benefit that today’s fillings, crowns and implants look like natural teeth. While John L. Aurelia, DDS, PLLC identifies the best procedure for your needs and goals, we can also suggest ways to further extend the lifespan of restorations and appliances made with the latest technologies and durable materials. This most popular cosmetic dental procedure can be done safely and effectively in-office, with customized take-home trays or professional white strips. How long you keep your smile at its brightest depends on ongoing maintenance chair-side and at home. Avoid habits that can stain teeth, including smoking, and eating or drinking berries, coffee, soda, wine and hard candies with coloring agents. Drinking acidic or sugary substances through a straw, and regularly chasing drinks with water minimizes stains and destructive decay. Very dark or stubborn gray stains can be covered with veneers. These layers of porcelain are versatile, as is bonding. Both techniques reshape and contour teeth, and close gaps. Chewing on ice, sticky or hard foods, and fingernails can chip the porcelain and composite resin. Damage to these materials caused by teeth grinding can be prevented with a guard, which John L. Aurelia, DDS, PLLC can customize to fit your mouth. While porcelain isn’t porous like tooth enamel and doesn’t stain the way natural teeth do, years of cigarette smoking or consumption of the usual culprits (like coffee and tea) can add up. Bonded teeth may become discolored, so it’s important to keep up with regular brushing and flossing, and professional cleaning. To restore damaged teeth, we can apply fillings or dental crowns made from strong materials that look and function like natural teeth. 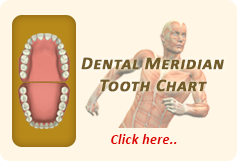 If you’re missing a tooth, we can build a new one from the root up with a dental implant. If you are missing many teeth, today’s dentures are made to look natural by local labs we trust. You may also opt for an overdenture, which combines traditional dentures with the stability of implants placed in the jaw. Keep in mind that cavities in surrounding teeth can shorten the lifespan of your crown. We can teach you how to clean your new teeth with special brushes and floss for hard-to-reach spaces under dental bridges, another way to replace missing teeth. 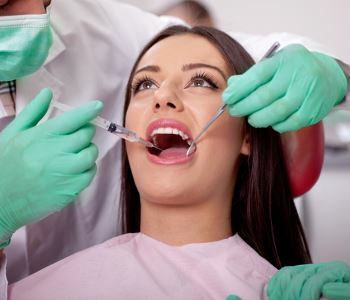 As your Shelby Township cosmetic dentist, John L. Aurelia, DDS, PLLC will give you the tools to assure your new and improved smile lasts for many years to come. Call 248-651-6810 so we can discuss these and other cosmetic procedures more with you.